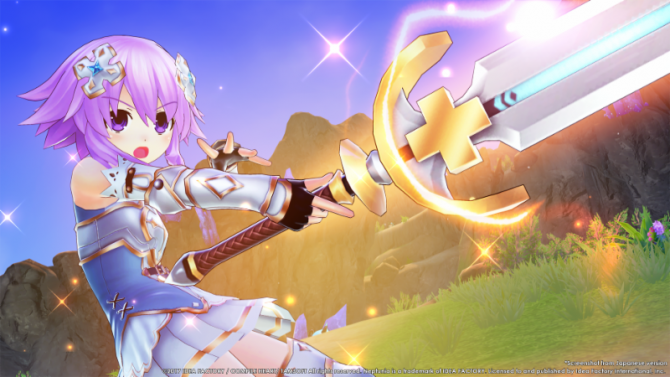 Cyberdimension Neptunia: 4 Goddesses Online is the newest entry of the Neptunia series to receive a western localization from Idea Factory International for PlayStation 4 and PC. 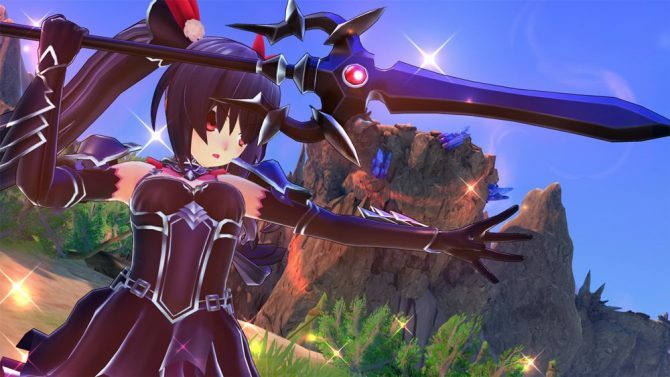 Additionally, this will be the first game to be developed using Unreal Engine 4, which brought many challenges as well as new insights to the world of Neptunia. 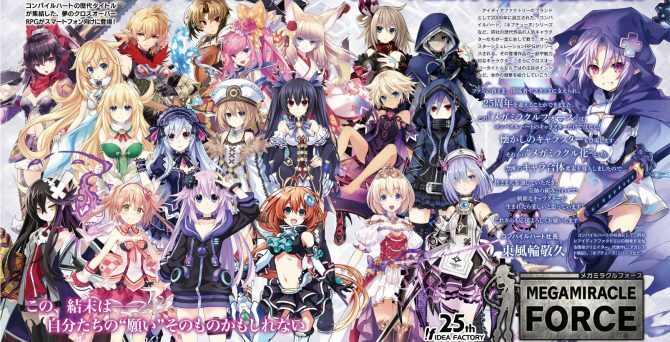 During Anime Expo 2017, Neptunia series illustrator Tsunako and series producer Naoko Mizuno hosted a panel where they discussed how the team approached the new Neptunia title in terms of development, character design, and story. Having a fantasy theme, it’s important to know how each character got their new design. Naoko explains that the development team got together and proposed different ideas for various character classes that you’d typically see in an MMO. The first character the team decided on was Noir?s Black Knight class. Originally, the team wanted Neptune to be a Gambler class, but felt that she would look better as a Paladin in order to contrast Noir. Next, Naoko-san admitted that they also wanted to be unpredictable, so they made Rom and Ram a Samurai and Ninja, respectively. Having them in different clothes for the first time also makes them appear more independent. 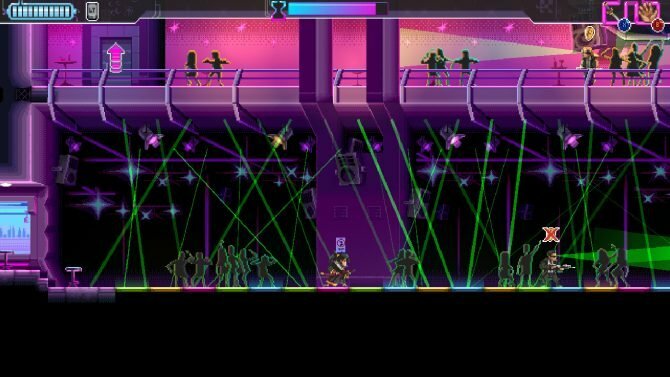 By doing this, the two have been moved to the frontlines when players are used to seeming them as a support party member in previous titles. Moving on, Blanc and Nepgear’s classes were chosen to be the opposite of Rom and Ram, so that’s why they are seen as a Priest and Mage, respectively. 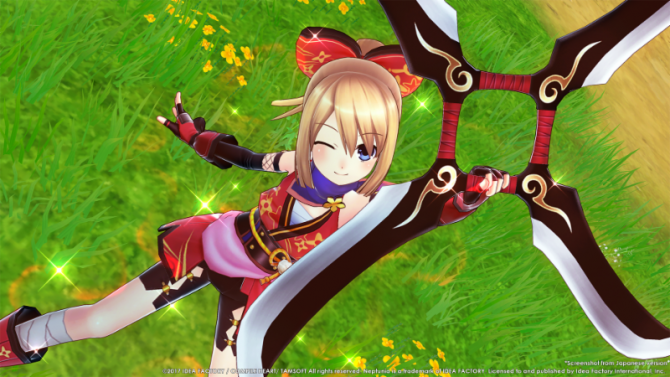 As for Vert, she was chosen to be an Enchanter so that she is able to support the entire team in battle. Lastly for Uni, they just knew that she needed guns so they made her a thief. 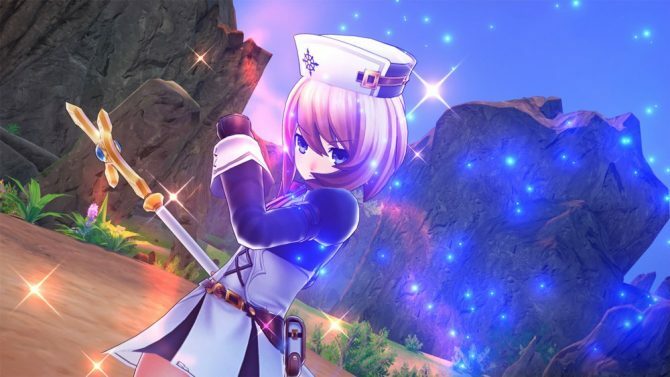 Being the first Neptunia game developed using Unreal Engine 4, Idea Factory ran into issues of getting the graphics to look right. This is because Unreal makes things more realistic and Neptunia has more of an anime-style to it. Naoko-san stated that they ended up capturing the 2D art style they were looking for, while also creating more ambitious dungeons and backgrounds. On the design side of the game’s development, Tsunako wasn’t sure that her illustrations would look good in 3D on Unreal Engine 4, but loved the final look. She added that for this title, all of the staff wrote the script for the story: this is something that she would normally pitch, and give to the team of scenario writers. However, this time she was able to work with the director and the main writing staff, which was a lot of fun for her, even though she still sees herself as a beginner scenario writer. 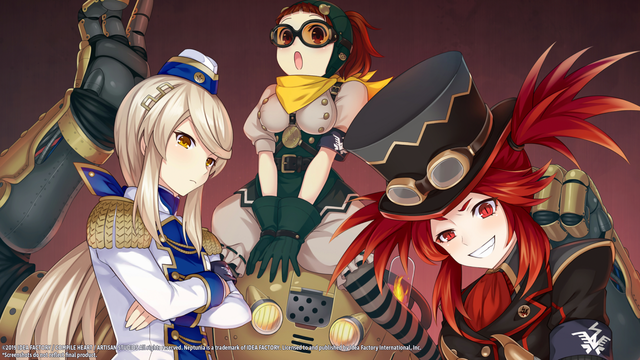 Naoko-san stated that her favorite new feature in 4 Goddesses Online is the new emotions shown in the characters’ expressions. 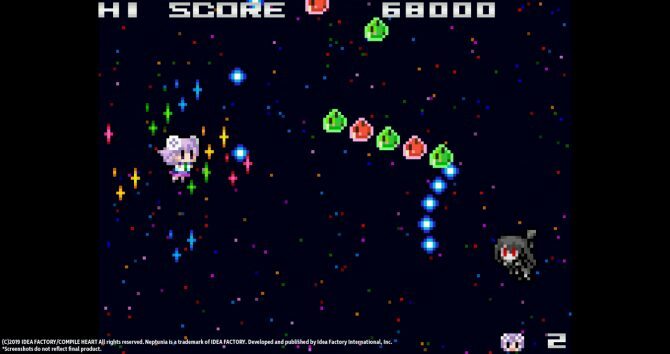 They pushed themselves as a team to make this look awesome because Tamsoft is known as a skilled action developer, and they wanted to fit that action with proper facial expressions. In the final portion of the panel, Naoko-san shared a story about how Rom and Ram?s classes were originally switched, but Tamsoft gave them feedback and they made the classes to what we see now. Tsunako shared a story about a bug that they found in an early build of the game where if you hit the attack button, the character would fly endlessly in the sky. She said she really liked this because she could see the entire map and found that it was really fun. With that said, Tsunako would like it if there is an option in the next game that would make the characters fly. Additionally, she added that for research they were able to play MMOs together, but then they got addicted and didn?t get much work done. 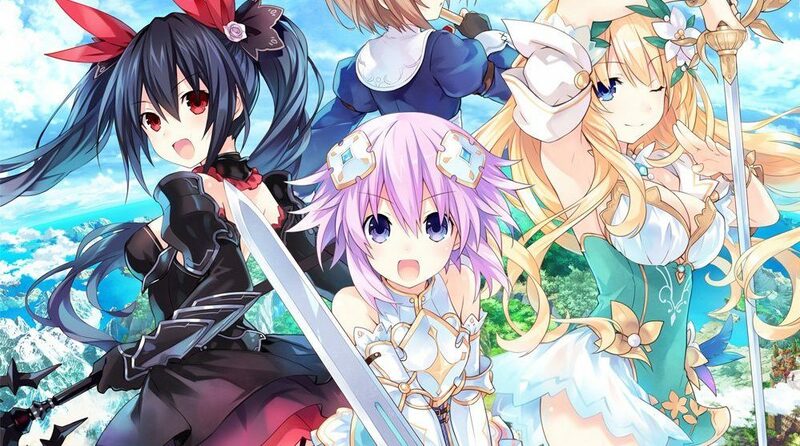 Cyberdimension Neptunia: 4 Goddesses Online seems to have been developed by a team that cares, and one that has built the Neptunia series to what it is today. They’ve also stated that it?s important to not destroy the characters with these new designs, and they hope that fans enjoy their new fantasy threads. Cyberdimension Neptunia: 4 Goddesses Online will release on PlayStation 4 and PC in winter 2017. 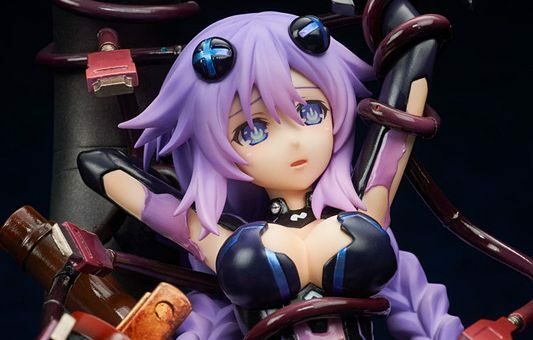 The Hyperdimension Neptunia series is getting a new figure from Broccoli, and it's its popular protagonist Neptune in her Purple Heart form.